The Raspberry Pi Compute Module is a thing of beauty! 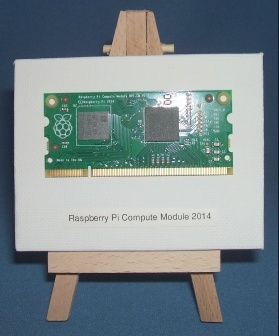 A Raspberry Pi Compute Module mounted and on a frame with a "Raspberry Pi Compute Module 2014" title! The module is hot glued in place and may not work if removed.